16 Places to Relive "Game of Thrones" in the U.S.
Like millions of people worldwide, many National Trust staff members tune in each Sunday for the hit HBO show Game of Thrones. Based on the acclaimed book series A Song of Ice and Fire by George R. R. Martin, the show is packed full of historical references, blood-soaked drama, and jaw-dropping architecture. An extensive (and expensive) tour of Europe would allow you to walk the vast fields of The North or the cobbled streets of King's Landing, but we've thought of a few places where you can live that Westeros life without leaving the country. 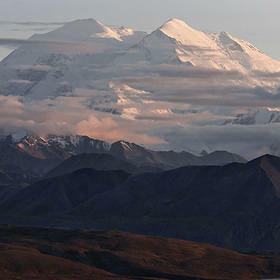 Vast fields and snowy forests await you in Denali National Park. Thankfully, you won't have to scale the Wall to reach it (or deal with the Night King and his army of the dead). 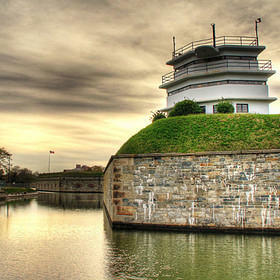 Fort Monroe may be less land-locked than Winterfell, the seat of House Stark, but its high walls certainly feel just as imposing. Thankfully, Virginia is much warmer than the North so you can leave the thick wool coats at home. 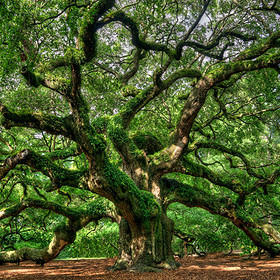 You may or may not find the old gods as far south as South Carolina, but the Angel Oak has the same ancient and otherworldly feel of any true Weirwood Tree. 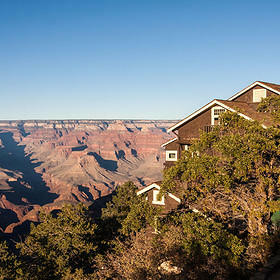 Situated on the rim of the Grand Canyon, El Tovar Hotel is the closest you can get to the impregnable Eyrie. Thankfully, you won't have to keep an eye out for the Moon Door. 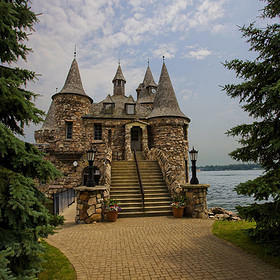 Located on Heart Island in the Saint Lawrence River, Boldt Castle is the imposing and isolated wonder that many imagine Riverrun—the former seat of House Tully—would be. The nave of Saint John's Abbey is just as stark and as intimidating as the throne hall at Dragonstone. Designed by Marcel Breuer, it is a monumental space—though sadly lacking in dragons. 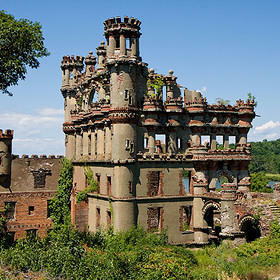 Whether you're defending Blackwater Bay, planning a political trip to The North, or enjoying a ceremonial joust, Bannerman Castle is The Red Keep of the U.S. However, with its crumbling towers, it may be more of a Red Keep after Daenarys Targaryen invades King's Landing. Whether you worship the Old Gods or follow the Faith of the Seven, the Great Sept of Baelor is one of the grandest domed structures of Westeros. 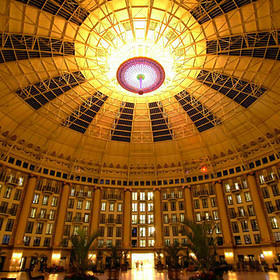 Thankfully, the U.S. has plenty of those to offer (and with a major lack of wildfire), including the gorgeous dome at the West Baden Springs Hotel. The seat of House Lannister, Casterly Rock is both an intimidating and grand castle. 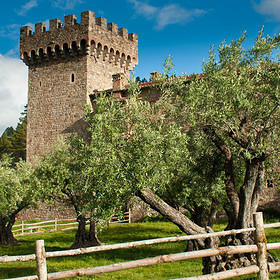 Castello di Amorosa offers the same atmosphere—complete with a vineyard so that you can enjoy a little 'Dornish red' in the sunshine of Napa Valley. 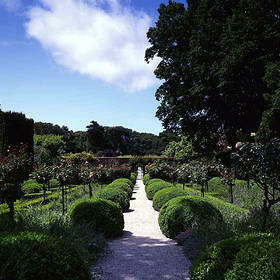 Known for its plentiful rose gardens, Highgarden is the gem of The Reach and the seat of House Tyrell. If you're looking for grand architecture and stunning gardens, you need look no further than Filoli, a National Trust Historic Site. 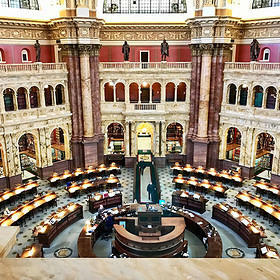 For any book nerds wishing that they could join Samwell Tarly in studying to be a maester, the Library of Congress is the largest library in the nation and the closest you'll get to earning your chain without studying at the Citadel. The Water Gardens of Sunspear, seat of House Martell, are famed for their beauty. 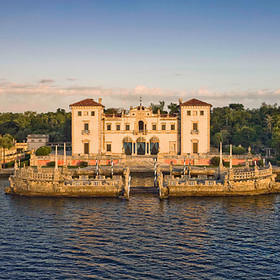 If you want to avoid the Sand Snakes but still enjoy stunning gardens, Vizcaya is the place for you. Home to the sternest bankers in Essos (and The Known World for that matter), the architecture of the Iron Bank of Braavos matches the demeanor of its bankers. 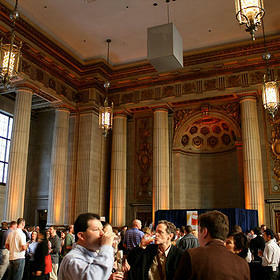 No less intimidating is the Mellon Auditorium which closely resembles the audience hall of the Iron Bank. Based on the ancient Colossus of Rhodes, the Colossus of Braavos is an intimidating sight for any sailor entering the city. 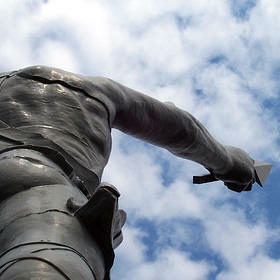 No less intimidating is the Vulcan Statue—the world's largest cast-iron statue—atop Red Mountain in Birmingham, Alabama. 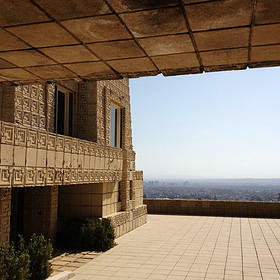 Ennis House was used by Game of Thrones production designer and art director Deborah Riley as inspiration for Meereen Palace. This Frank Lloyd Wright masterpiece is the closest you will get to Essos without crossing the Narrow Sea. 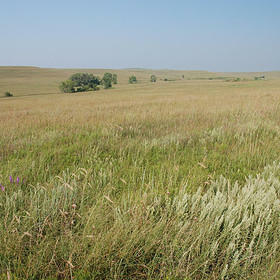 While you are unlikely to come across a hoard of Dothraki while visiting Tallgrass Prairie, you will be able to enjoy the vast acres of tall, wild grasses that resemble The Great Grass Sea (also known as the Dothraki Sea). They aren't a place, but the importance of dragons in the world of Game of Thrones cannot be ignored. 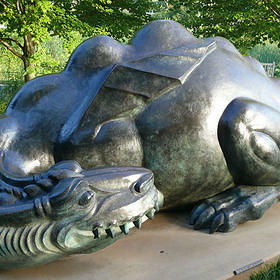 Here are a few dragons to visit without getting singed ... though you may want to avoid saying "Dracarys" all the same.